The extension of the package insert. Multiple languages, lots of text and graphic illustrations: the reasons for choosing a booklet are as many and varied as the ways they can be realised. We help you produce your instructions for use, from initial advice through to final packaging. Booklets with more than 120 pages normally have an adhesive binding, in other words, the pages are held together with special glue. 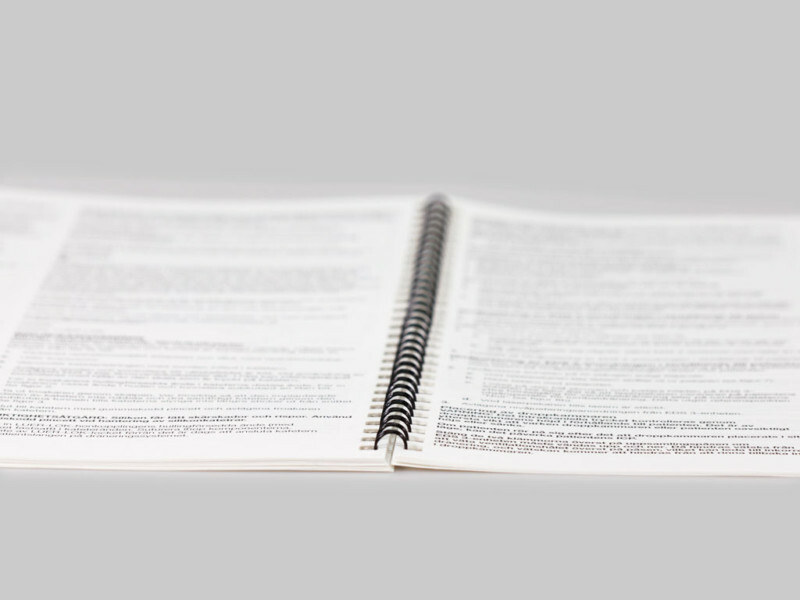 There is a wide range of formats and options for booklets with adhesive bindings too, for example, coated paper can be used instead of India paper. The classic way to produce booklets with more than 8 pages is wire-stitching. With this method, the sheets are stitched together with one or two staples (depending on the format). 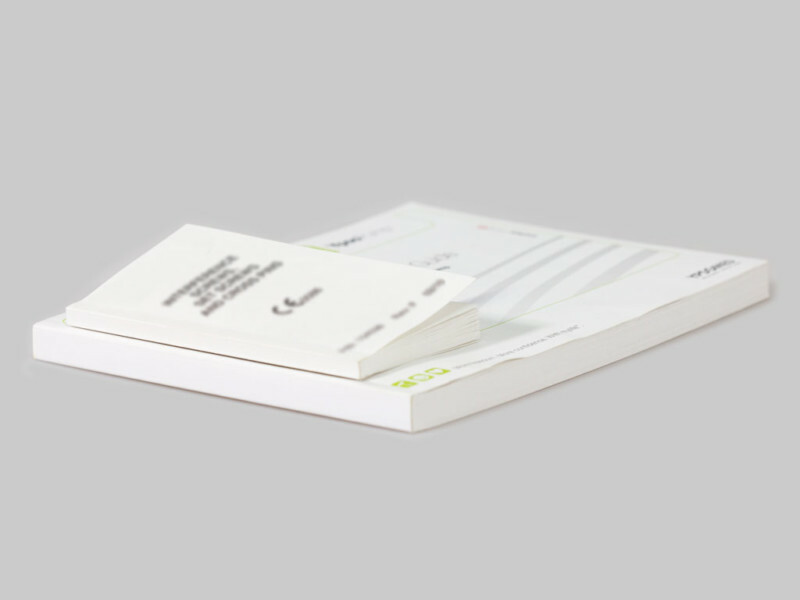 One rarely used, but no less popular way to produce booklets is to use Wiro binding. 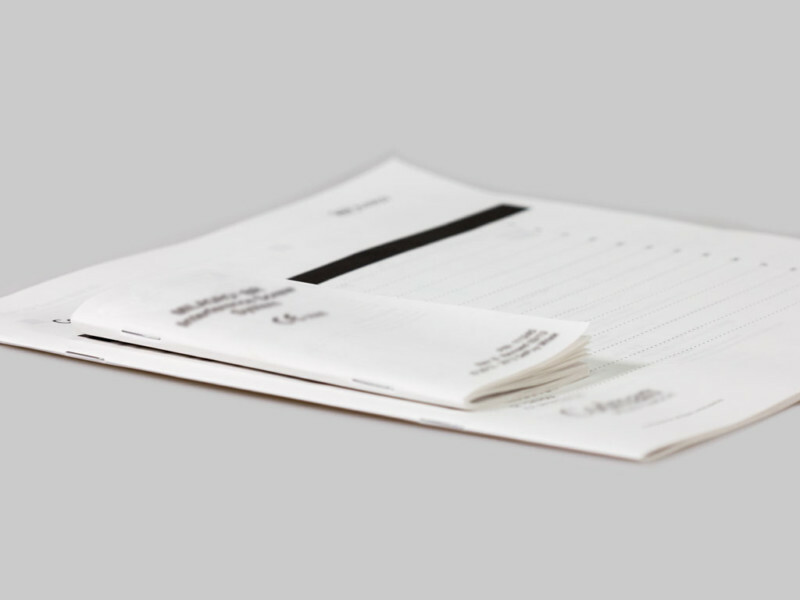 With this method, the booklet is perforated in a specific manner and the pages are held together by a metal or plastic spiral. Your options for the production of instructions for use.